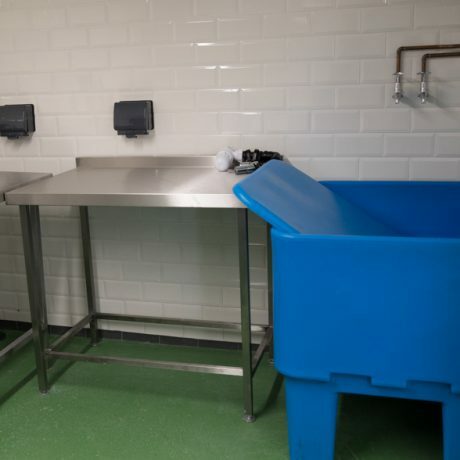 Spend a day learning how to make cheese in this purpose-built cheese dairy. 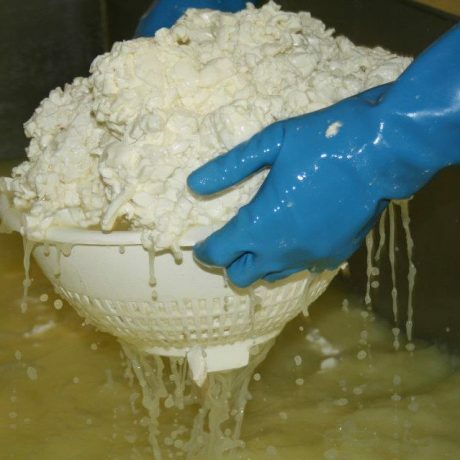 These cheese-making courses are taught by industry expert Andy Swinscoe. 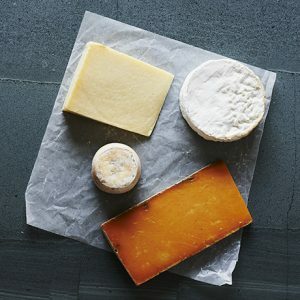 You’ll be guided through the background science and technical theory of how to make cheeses, and then experience hands-on cheese-making of two distinctly different cheeses. And you’ll get to take home the cheese you made. The course runs from 9.30 am – 3.00 pm, and includes lunch. 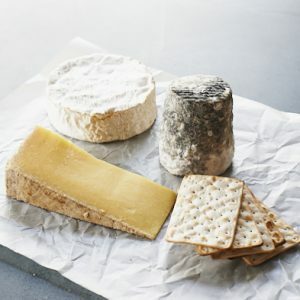 The course is detailed and covers all the basics of cheese-making, combining a hands-on approach with some theory classroom work. 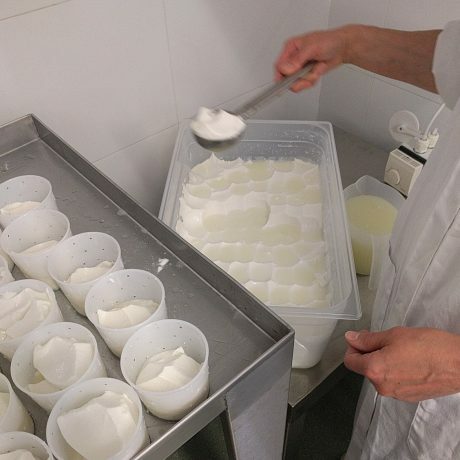 The subjects covered include: milk composition; use of rennet; selecting and using ripening cultures and starter bacteria; setting the curd; cutting, draining and stirring the curd; moulding, milling and pressing the curd; and cheese ageing. 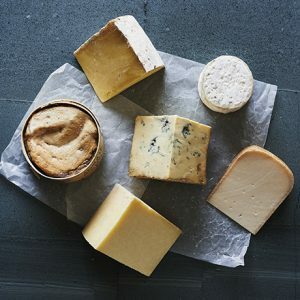 You will make two types of cheese: hard ‘Cheddar-style’ and soft ‘lactic’. The course also includes three recipes to take away, plus additional course material to give you pointers about sourcing equipment for both home and commercial use, and further learning. 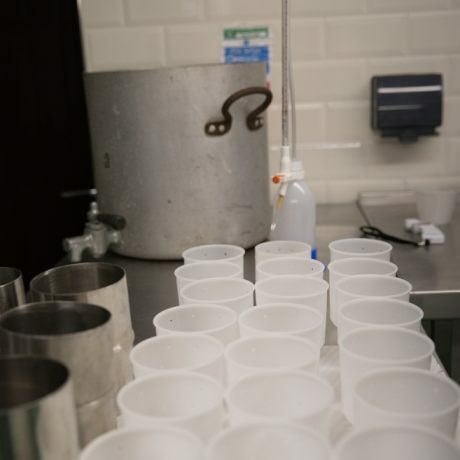 Each course is for up to eight participants, with each participant using separate cheese vats and moulding equipment to ensure everyone gets a full experience. The course is held at The Courtyard Dairy. 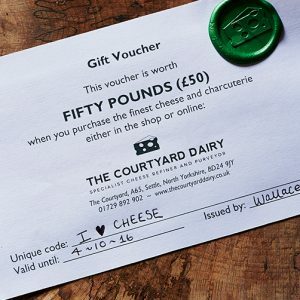 If you would like to give this course as a gift, gift vouchers are available for a specific cheese-making course date, or a general voucher redeemable against any date [click here]. To get a voucher sent out, simply request a voucher in the ‘Special Instructions’ at checkout. If you can’t make this date: future cheese-making dates will follow, with roughly one course ran per month. Please ring (01729 823 291) for more details.